PRICE REDUCED! 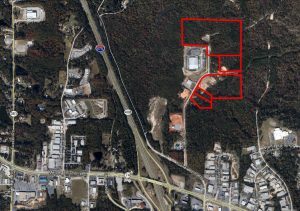 Bibb Co., 51.69 acres Industrial Land, $249,000! Foreclosure! Large parcels sold as one bulk unit just off of Thomaston road near I-475 interchange. Perfect for expansive facility that does not need interstate exposure. Easy ingress and egress to I-475. Call or email Mike Newsomefor details.